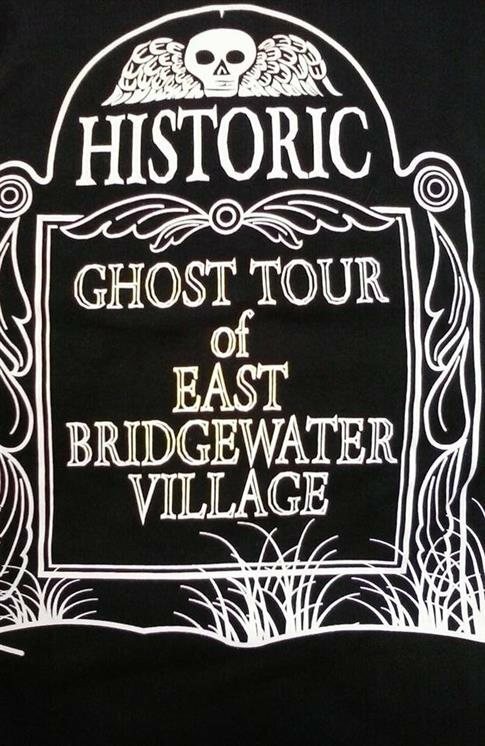 This 2 1/2 hour guided, researched, historic walking ghost tour commences at the East Bridgewater, MA Town Hall when the clock tower strikes 7:00 p.m. 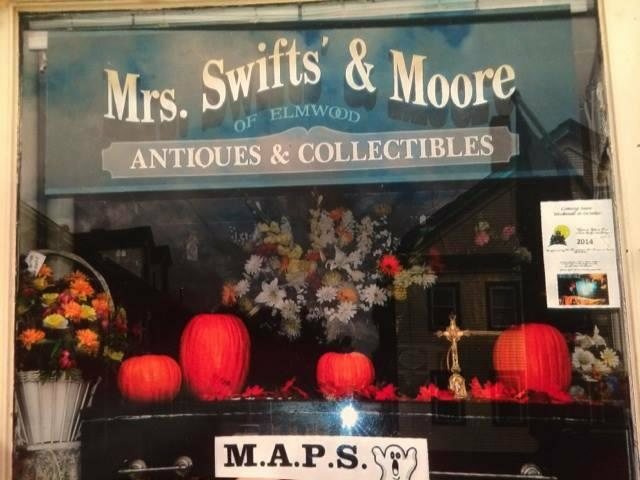 This tour is sponsored by Mrs. Swifts' & Moore Antiques (where advance tickets must be purchased using either cash or check) and presented by the Massachusetts Area Paranormal Society. 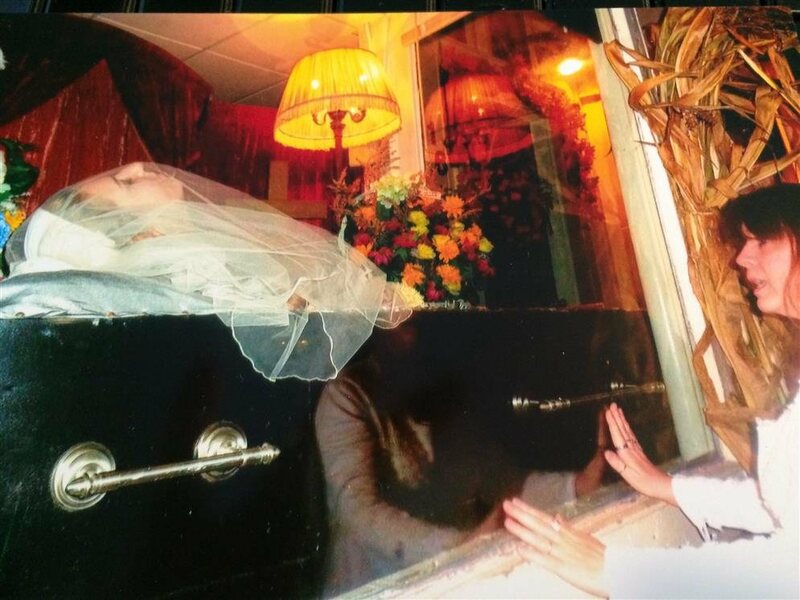 We welcome guests 14 and older, with an adult, and ask that guests refrain from bringing pets, smoking or drinking alcohol during the tour. 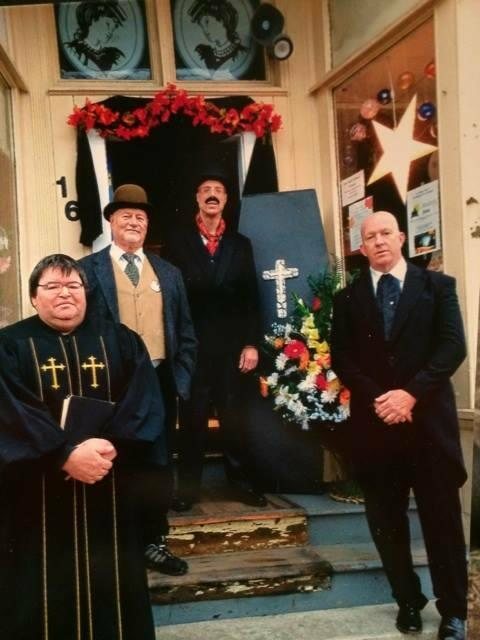 Walk amongst costumed characters portraying local legendary figures of the past. 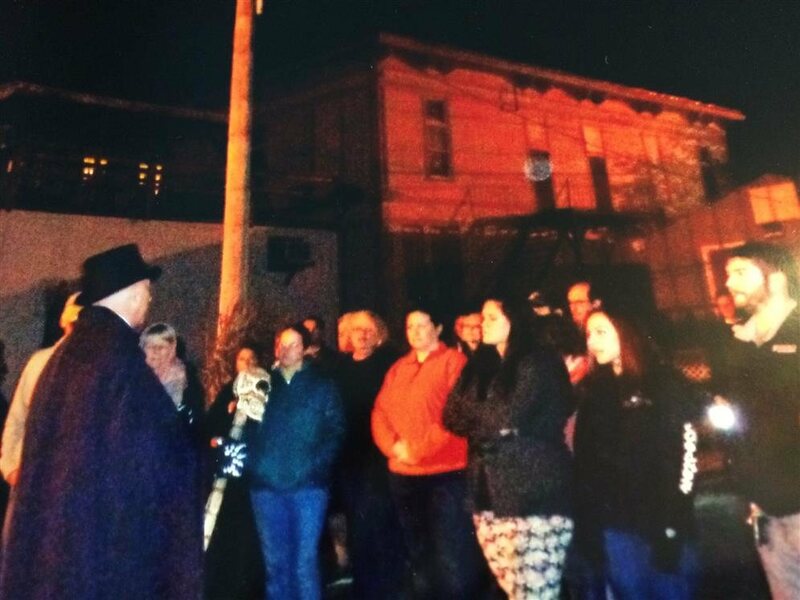 Your guide for the evening, Wayne Nye The Cemetery Guy, will share hauntingly delightful tales of this historic area which is located within the Bridgewater Triangle. 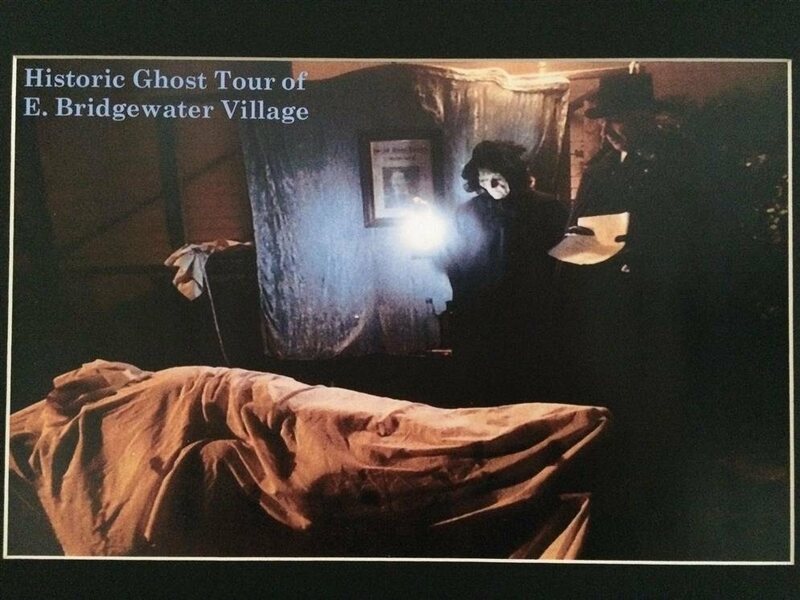 Take a step back to a simpler time when unsolved murders, horrific inexplicable accidents, and intriguing paranormal events were experienced right here in the heart of East Bridgewater Village. 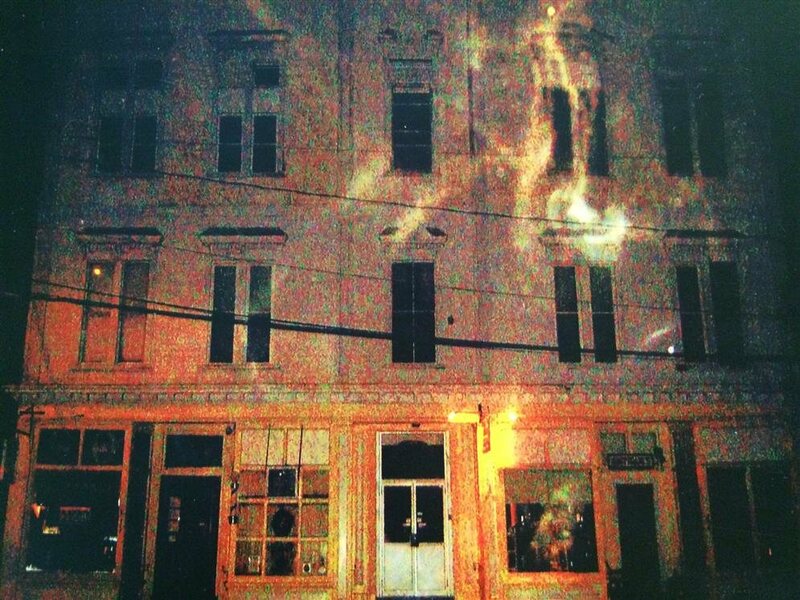 Visit the haunted Old Masonic Building built in 1892, which once housed Prophett and Flynn Funeral Parlor. 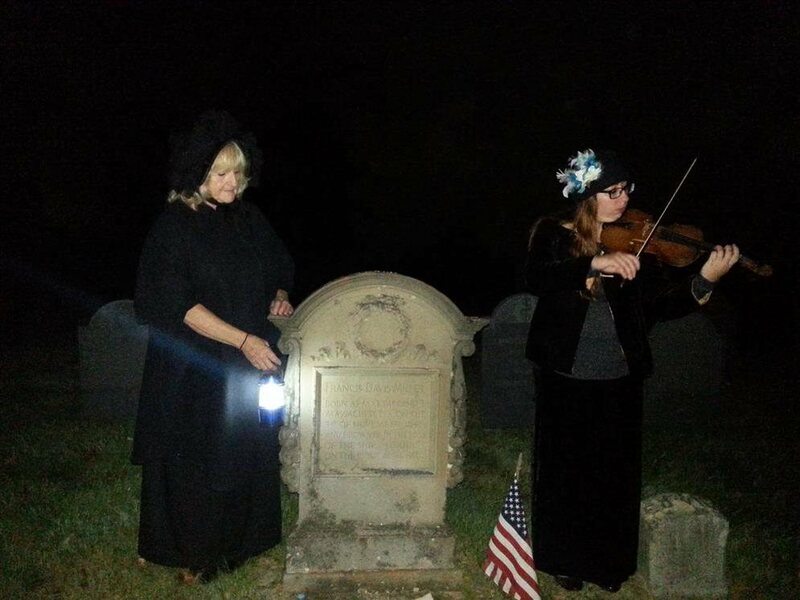 The tour concludes with your moonlit meander through a local cemetery while Mr. Nye continues to astound you with facts and folklore of the past. 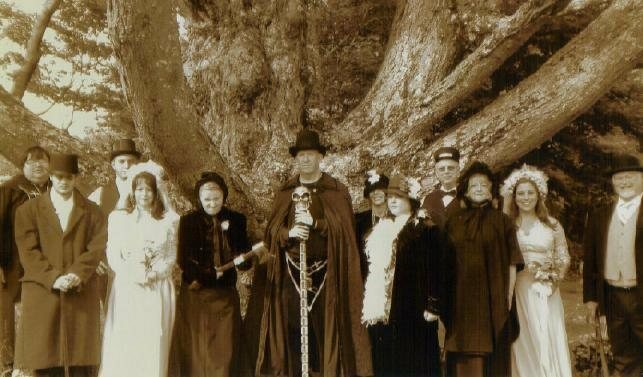 Guests can expect a night of intrigue, laughs and a few eerie surprises along the way. 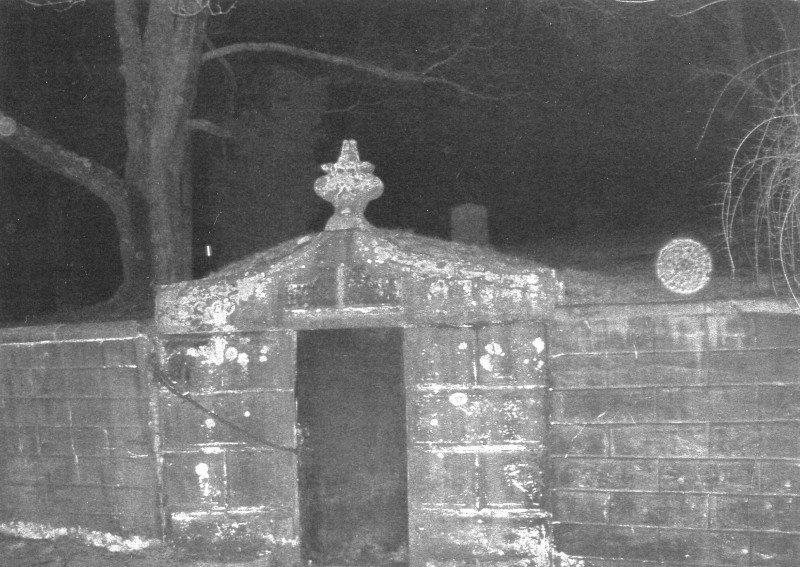 We encourage our guests to wear comfortable shoes, bring flashlights and don't forget your camera as there are many photo opportunities. Tickets are $18.00 per person and must be purchased in advance at Mrs. Swifts' & Moore Antiques, 16 West Union Street, East Bridgewater, MA. Tickets go on sale beginning the second week of September. Shop hours are Wednesday - Saturday 11:00 a.m. - 5:00 p.m., Sunday until noon. Please call for additional information or with any questions.